The Vancouver Giants in conjunction with the Western Hockey League are pleased to announce that 2001-born defenceman Bowen Byram (Cranbrook, B.C.) 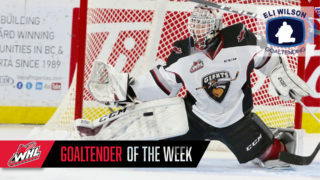 has been named WHL ‘On the Run’ Player of the Week for the week ending March 31st. This marks the second time this season that Byram has received this honour. In four games last week, Bowen Byram secured two goals along with four assists for six points and a +7 rating. The Giants won three of those games en route to closing out their first-round series with the Seattle Thunderbirds. 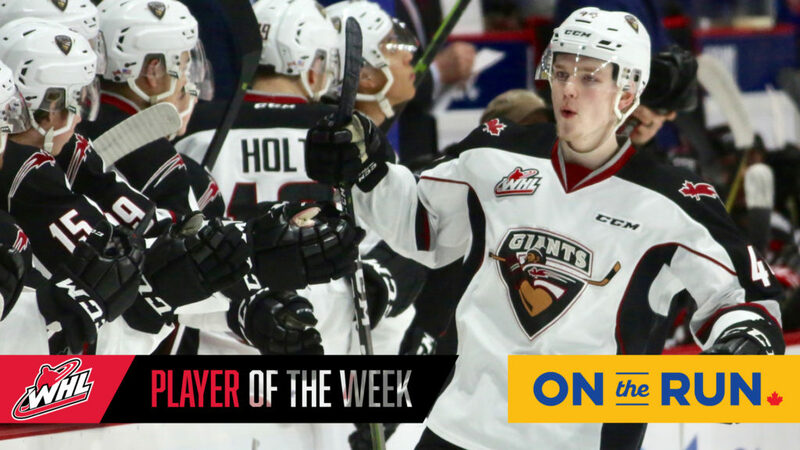 On Tuesday, March 26th Byram had a goal and two assists and was a +2 in a 6-4 victory for the Giants on the road. He was named the first star of Game 3. Then on Friday, March 29th at the LEC, Byram secured the primary assist on Dallas Hines’ game-winning goal early in the third period, lifting the Giants to a 3-2 win in a crucial Game 5. Byram followed that up with a goal and an assist in Game 6 and finished with a +4 rating as the Giants captured the series in six games. During a historic regular season, Byram finished with 26 goals and 45 assists for 71 points. His 26 goals were a single-season best for a Vancouver Giants defenceman. 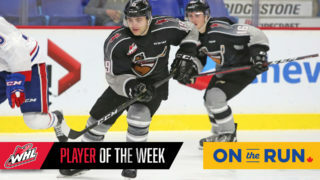 Byram also set a new WHL single-season record with six overtime winning goals. 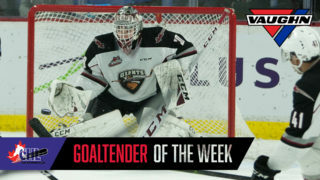 Back in November Byram was one of two Vancouver Giants to suit up for Team WHL in the 2018 CIBC Canada Russia Series and then in January 2019 he represented Team Cherry in the 2019 Sherwin-Williams CHL/NHL Top Prospects Game. He is considered a top prospect for the 2019 NHL Draft which will take place in Vancouver in June, 2019. The Vancouver Giants are still awaiting their second-round playoff opponent. Tonight the Kamloops Blazers host the Victoria Royals in Game 6 with the Royals holding a 3-2 lead in the series. 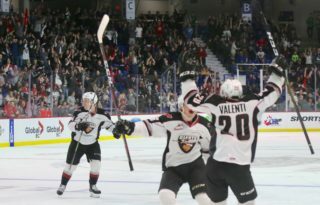 The Giants will host the winner of that series in Games 1 and 2 of the second round on Friday, April 5th (7:30 PM) and Saturday, April 6th (7:00 PM) at the Langley Events Centre.